Television broadcaster Doordarshan plans to start broadcasting directly a bouquet of 20 free-to-air television channels in partnership with private media on mobile phones from next year. The service on mobile phones is being planned in Mumbai and Delhi to start with. Doordarshan will use DVB-T2 Lite technology which can be accessed through a dongle at present. Target is to start with all free-to-air channels operating at our DTH platform, said Shri Jahwar Sincair, CEO of Prasar Bharati, the public broadcasting company operating Doordarshan and All India Radio. Media authority Ofcom has published a consultation seeking views on the approachto issuing new short-term licences to support small-scale digital radio trials being run by Ofcom next year. If successful, this new technology could allow smaller radio stations to go digital at a lower costs. The effort to embed radio chips in smartphones and other mobile devices is now a coordinated effort between BBC and other proponents in the US, Europe and Australia. 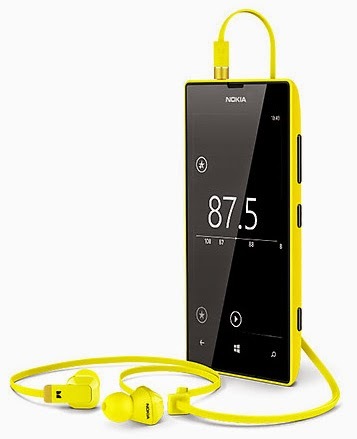 They’re prodding manufacturers and carriers to embed and activate FM and DAB tuners into handsets. Because iBiquity is involved, presumably the ability to include HD Radio on those FM chips is involved as well according to Radio World. But will this effort impress the global mobile phone market? The public service radio in Ireland RTE has announced it is now closing down its Radio1 Longwave Service on 252 kHz. However, this decision is made without any consultation and has been met by opposition. The close down is now postponed until January 19th 2015. The critics say that the change will disadvantage individuals and groups in the Republic, and members of the Irish Diaspora living in N. Ireland and the UK. The National Audit Office Riksrevisionen is focusing on if the taxpayers will get their money's worth if DAB+ replaces FM radio in 2022 and whether it will be efficient to construct a new radio infrastructure. According to a preliminary study, which started in April of this year, there have been indications that different alternatives were not sufficiently considered, nor were the consequences for the society and citizens. Broadcast provider Teracom has found 68 new vacant frequencies in the FM band which can open for 17 new commercial radio concessions. The telecom authority PTS is now looking into the issue and will present its analysis probably next month. The promoters of a DAB introduction in Sweden has claimed that digital radio is necessary because 'the FM band is full' and 'we need DAB+ to make space for more radio stations'. A DAB+ breakthrough is still far off in Sweden. 2015 is the decisive year. The media authority has awarded 21 national licenses and four regional licenses for commercial radio on digital DAB+ in Sweden. The application process has not revealed any interest from new local or national actors or from new foreign companies. There has been more space offered than present demand and all applications has been granted. The licenses are awarded to radio actors, which are already well-established on FM. 21 of 25 licenses go to the oligopoly of national commercial radio; SBS Discovery and MTG. The four regional licenses are also awarded established local FM stations. The two major privately owned radio stations in Hamburg - Radio Hamburg and Alster Radio - abstain from applying for DAB+ license at the local state media authority. The CEO of Radio Hamburg Carsten Neitzel says that the sale of DAB receivers is in no proportion to the annual sale of 200-250.000 FM receivers in Germany. A new association for local radio in Norway is set up in opposition to the long established Norwegian Local Radio Association (NLR). 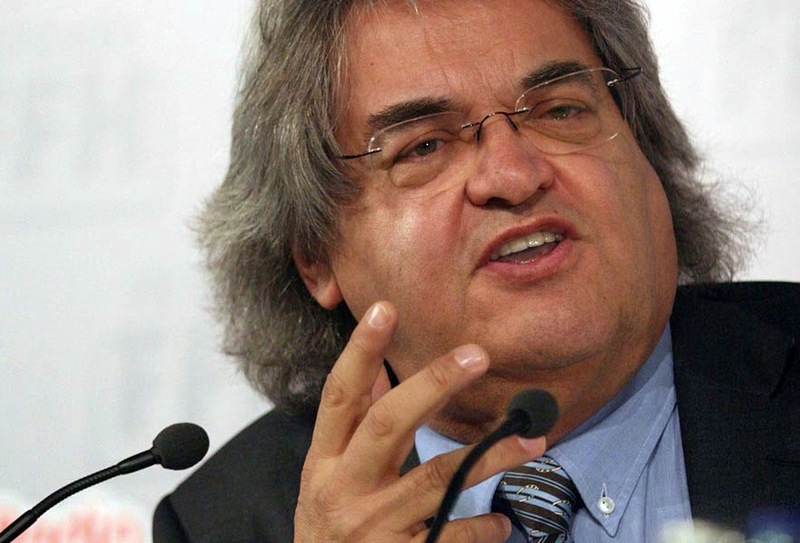 The NLR chairman says that the new organisation is set up in order to split the radio sector and is de facto an organisation for promoting the DAB radio system. The suspicion is that the two major commercial radio networks is behind the new organisation. What's True About Mobile Broadband Broadcasting? It is claimed that the large download capacity provided by the wireless communication standard 4G/LTE will solve all problems for the IP distribution of radio, and maybe even television, services to mobile devices. According to broadcasting organizations such statements represent an oversimplification of a complex problem, including various non-technical aspects such as net neutrality, and costs writes EBU. However, after three much toted reports the broadcasting sector have not yet presented the complete picture but rather leaving out the decisive facts of the capacity growth for future 4G and 5G as well as recent developments of the LTE Broadcast multicast technology. Will broadband operators become also broadcasters? 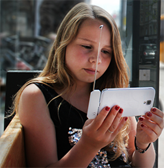 Nokia Networks (Finland) has announced what it says will be the world’s first field trial of wide-area LTE Broadcast technology, using a single LTE frequency within the UHF spectrum in Munich, Germany. This technology can be used both for radio and for television. The single frequency network (SFN)-based trial will see all base stations use exactly the same frequency to transmit TV content, which maximises the number of simultaneous TV channels broadcast over a large geographical area in a given amount of spectrum. The use of LTE Broadcast will enable users to watch TV without eating into their mobile data plan and will be independent of network load. FM radio is losing to online listening, but not to DAB. Digital radio listening share remains flat at 36.8% year on year with listening hours for Q2 2014 with 378 million hours being listened to in an average week. DAB radio has a share of 65% of all digital hours (24% of total hours). Listening via DTV (Digital Television) represents 13% (5% of total) and Online 17% (6% of total) of all digital listening hours according to the Rajar report. Local radio wants to keep FM. Few cars have DAB radio. 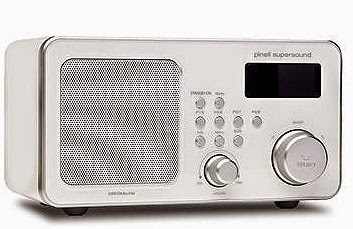 The much toted introduction of DAB radio in Norway is not yet succesfull. The FM network is planned to be closed for public service and major commercial radio stations 2017-19 but still only 12 percent of the cars are equipped for DAB+. Also there is a fierce resistance from the local radio sphere which do not want to leave FM for DAB+. The future fate of 16 million FM-receivers is still unknown. The Departement of Culture is presently working on a proposition to the parliament - Stortinget - about the continued DAB developments which was decided on 2011. One of the two parties in the conservative coalition government - the Progressive Party (Frp) - which also is in charge of the Finance Departement - will propose that the decision to close down the FM network should be reconsidered. Today, Norway is the only country in the world with a set closure date for FM. The new Community radio was introduced in the United Kingdom 2005. Since then 294 licensees have been granted in three rounds based on a total of 507 applications from all parts of the country. 222 stations are on air today. Most are on FM , but six are broadcasting on AM (Medium wave). The first DRM transmission in South Africa is on air from July 1. Radio Pulpit is starting a trial on 1440 kHz broadcasting using a 25kW transmitter (and broadcasting 10kW DRM30) using a low profile antenna. The broadcast, with up to two programs and eventually all the extra features, will cover greater Pretoria and parts of Johannesburg. Mixcloud, a leading global online platform for on-demand radio, and International Radio Festival (IRF) are calling for submissions for the first annual Mixcloud & IRF Online Radio Awards in Zurich 3-6 September 2014. 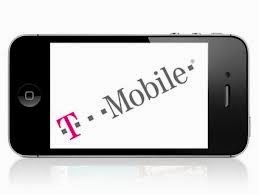 T-Mobile's Simple Choice customers are now able to stream all the music they want from all the most popular streaming services, including Pandora, Rhapsody, iHeartRadio, iTunes Radio, Slacker, and Spotify – without ever hitting their high-speed 4G LTE data service. Music services from T-Mobile partners – Samsung's Milk Music and the forthcoming Beatport music app from SFX – will also stream without data charges for T-Mobile customers. Ofcom is to extend the duration of advertised or re-advertised local commercial analogue radio licenses (AM and FM) from seven to 12 years. The policy changed in 2010 in light of possible announcements on a DAB switchover but in December last year, the Government said that there was still more to do before the transition to digital could be completed. Information and Broadcasting Minister Prakash Javadekar on 19 June promised a stable policy regime with transparency and time-bound mechanism. Efforts would be streamlined so as to make the process of clearances speedy and transparent. He said that there is a need for expanding the reach of Community Radio and that the ministry aims at opening up of 1000 Community Radio Stations in near future. Today 45 community radio stations - radio asociatifs - in Marseille, Nice and Paris in DAB+ multiplexes. The stations are in most cases those extending its coverage into additional areas or stations which previously have not succeeded to get an FM permit. There is a low key interest with this premiere as Radio France - the public service broadcaster - will not be on DAB+ because the French government says DAB+ will be to costly. Also the major commercial networks - as RTL - are not participating in DAB developments. According to the media authority CSA there are no plans to switch-off FM radio in France. It has been projected that by 2023 a mobile traffic increase on the order of 1,000 times is expected. To meet that dramatic traffic growth, next-generation mobile networks are also expected to achieve a 1,000-fold capacity increase compared to the current generation of wireless network deployments. This will include expanded space for mobile distribution of audio/video services as digital radio and television. 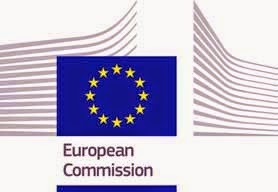 According to the European Commission the agreement signed in Seoul today is a milestone in the global race to develop 5G mobile technologies. The Polish commercial radio community says it will suspend its work with Krajowa Rada Radiofonii i Telewizji (KRRiT), the media authority, on the transition to DAB+. KRRiT has received a letter signed by broadcasters from Group RMF, Radio Group Agora, Radio Group Time and Eurozet about the requirements of their engagement in the working group and the technical subcommittee. The signees complained that their opinions have been ignored. Slowly, slowly we're seeing more digital radios in cars. But the glacial pace is allowing smarter alternatives to catch up, writes Nick Gibbs in the motor section of the British newspaper Telegraph. With still no switch-off date for analogue AM/FM radio announced and new technologies closing fast, there’s a serious concern that all the (predominantly taxpayers’) cash still being spent on broadening the network will be for nought. The government of India has issued a request for proposals from companies that want to participate in the country’s e-auction under Phase-III of the licensing process for commercial FM Radio . The auction is now being held after the new government took office in June and will feature 839 FM channels in 294 cities. The retention of FM radio is strongly defended and a transition to the DAB system is rejected for Europe’s approximately 9.000 small-scale broadcasters. A complete stand-alone DAB+ structure cannot survive on a free market without significant public funding (taxes or TV license income) in most European countries. A new report – a green paper – commissioned by the Community Media Forum Europe (CMFE) questions the credibility of DAB system, highlights the preference of DRM+ as a digital choice and with DVB-T2 Lite as a possibility as well as the importance of online listening for future radio. Would Google become the Global Broadcaster? 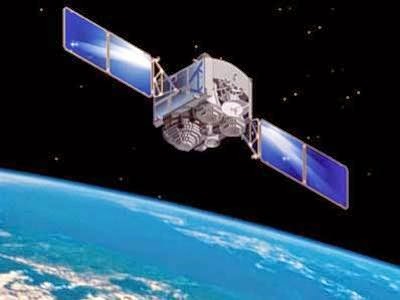 Google is planning to spend more than $1 billion on satellites that will offer internet access worldwide from space. Google will begin with 180 small satellites that will orbit the Earth at a lower altitude than most other craft. The project could have a great impact on the global struggle for spectrum in the UHF band, which television broadcasters increasingly are losing to mobile broadband operators. Besides expanding space for video distribution online radio might get almost unlimited access via the satellite network. Svein Larsen MD of Radio Metro is elected to President of the Norwegian Local Radio Association (NLF) with an overwhelming vote, but not with any support from SBS Discovery Radio. Larsen don't want to keep FM and a digital transition should be over time instead of a set switch-off. For digitalization local radio will also need state subsidies. 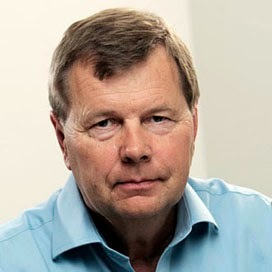 Larsen says that the authorities have been too much concentrated on the major broadcasters leaving local radio behind. Digital listening hours for Q1 2014 increased with 2,3 % to 36,6 % of all listening from Q1 2013 according to Rajar. DAB - introduced in the UK 1995 - has the biggest share with 24 % of the 379 million hours of digital listening in Q1. Share of listening via digital television network is 5 %. British parliament is being urged to relax commercial radio regulations as the platform faces competition from digital services such as Spotify, Deezer and iTunes. Chairman of the All Party Group for Commercial Radio, Andrew Bingham MP, wants new rules to be introduced that create ‘a more level playing field’. In contrast to digital services on line, commercial radio is required to comply with rules on music content, local production and license renewals. Mobile Broadband taking over. DAB Radio to share the 200 MHz band with terrestrial digital television. The Swedish government today decided that the UHF frequency band 694-790 MHz should be assigned solely to mobile communications from 2017. 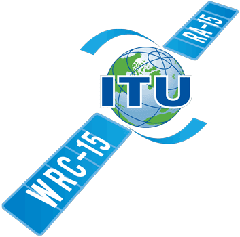 Broadcasters now have three years to migrate from this space to 470-694 MHz and also coming back to the VHF band III 174-240 MHz. Today the first transmissions with the new digital radio system DRM+ went on-air in the Stockholm region. The test trial is run with a DRM+ transmitter on the 97.0 MHz FM band with a power of 500 Watts. The first six months test trials are made in consultation with the Post- and Telecom Authority in Sweden (PTS). BlackBerry users who download the latest 10.2.1software update will unlock FM capabilities in certain models. The handset maker says the update “unlocks the built­in FM radio” for the Z30, Q10 and Q5 BlackBerry models. The update is available now to customers in U.S., Europe, Canada, the Middle East, Africa, Asia Pacific and Latin America, and will be available for the entire line of smartphones running BlackBerry 10.